I had the opportunity to briefly visit the Google Open Source Programs Office yesterday with a friend that works there (thanks Shawn). Out of the many things Google does, I truly respect what the Open Source Programs Office does, especially with the Google Summer of Code (GSOC) program. I’ve been mentoring students for the past five years and the experience has always been positive. 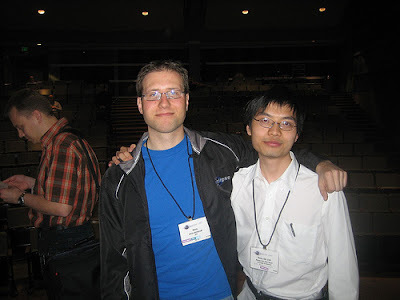 When I was a student back in the day, I recall working with the Gentoo Linux open source community and how much that shaped me as a developer. It was empowering to work in an open source community and made me realize that’s how software should be developed. I can only be thankful for the experience and pay it forward. I think Google giving students the ability to work with open source communities during the summer and getting paid for it is going to bear some really good fruit in the future of the software. 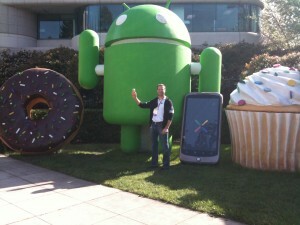 While I was on the Google campus, I said hello to some sculptures. The picture above was taken with an iPhone. 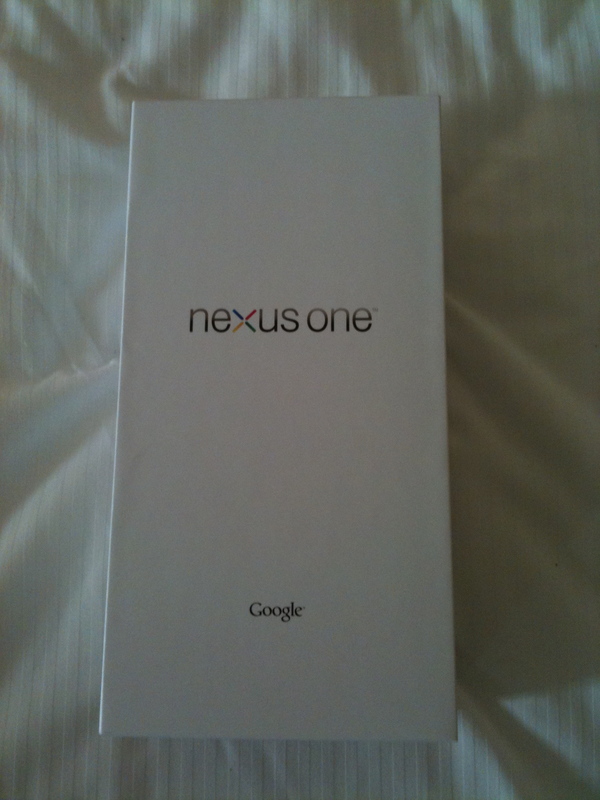 I guess that upset Google so I scored a Nexus One. 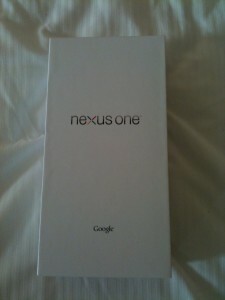 As a long time iPhone user, I will give the Nexus One and Android a shot for a month. I have to say EclipseDay at the Googleplex was quite a success! Thank you to Robert, Mustafa and Leslie for putting things together! I gave a talk about tips and tricks around plug-in development that I found useful through my experience of hacking plug-ins. It was cool to see the glee on people’s faces when they learned about things like Ctrl+3 and Plug-in Spy. There was also a lot of CDT fans in the audience. One person was complaining how CDT4 wasn’t fast at indexing his ~20 million LOC product, which could be fair, however, I told him to try out CDT5 which is part of Ganymede. I know that the CDT team spent a lot of time improving the indexer for CDT5 to handle the most ridiculously sized projects out there. The interesting part of this discussion was the fact that he never bothered to ask about his problems on the CDT newsgroup or mailing list. If you don’t ask, how can you expect someone to help you? I wonder how we can better direct people to asking questions on the newsgroups… I wouldn’t want Eclipse adoption impeded by silly things like people not asking questions about their problems. Overall, I enjoyed meeting everyone and especially some of the new faces I haven’t seen in person before (hi Mustafa). I hope Google does something like this in the future, maybe on the east coast this time, around their NYC offices ;)? Eclipse and Google SOC Reminder! Here’s a gentle reminder that the Google Summer of Code(GSOC) program is starting to accept applications today. If you want your project at Eclipse involved, I highly recommend putting an idea out on Eclipse’s GSOC idea’s page and start idling on #eclipse-soc (hunting for students). The response so far from students has been amazing… I already have a student helping me hack some Declarative Services (DS) tooling. That happened about 3 days after I posted the idea… phew…! It’s that time of year again… when you get to mentor and work with students trying to hack Eclipse in interesting ways! 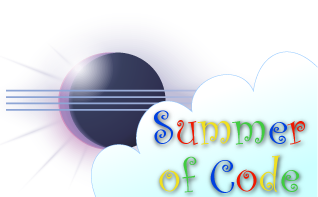 Hello, Eclipse Google Summer of Code 2008 (GSOC)! Crazy people are starting to experiment with developing bundles in languages other than Java. PDE is inherently tied to Java as the language for bundle authorship… let’s make PDE have a menage trois with Scala and Java by supporting tooling to author bundles in Scala. The Eclipse Communications Framework is all about various protocols/providers and freeing people from protocol-lockin. Last year we had an MSN messaging implementation for ECF… how about AIM this year? Ever wonder where icons or graphics come from Eclipse? Noone knows… how about making the process of graphic and icon creation as transparent as the code we write for Eclipse? See this blog post and bug for more information. If you’re an Eclipse project and interested in mentoring… please post your project ideas here. If you’re a student looking to be mentored or have some cool project ideas… please put your name here. I can’t stress how important it is to participate in GSOC… you meet interesting people, get quality contributions and an opportunity to spread the Eclipse love. For the past two years, I’ve mentored Ian Bull (Plug-in Visualization) and Remy Suen (BitTorrent ECF Provider) who have turned into fantastic Eclipse committers and community members. Heck, Remy will probably be mentoring a project this year! All it takes is a little patience and time on the behalf of committers… so why not list some ideas that have been brewing in your head and see where things go from there? See anything missing from there? Google does a great job with its SOC program, but I think from an Eclipse perspective, there’s something missing about what type of licenses students can choose from that box. I think Google’s initial intentions were good (ie., not to confuse students), but in the real world there’s a ton of licenses out there and as a software engineer, you have to learn about them (even funny ones like BeerWare). Maybe Google could be more instructive to students about the various licenses and even categorize them like the OSI. What’s better than free and quality student labor 😛 (j/k)! It looks like Google’s Summer of Code program is back. Eclipse participated last year with some great results and will do it again this year. There is currently a wiki entry for people to post possible ideas that students can work on for projects. There is also an EclipseCon panel this year that will discuss some of the projects that happened last year, and what worked and what didn’t.